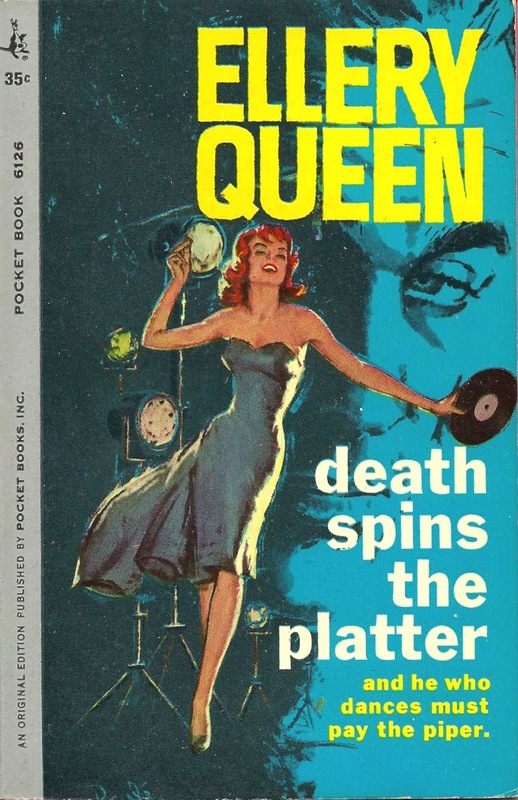 Killer Covers: Long Live the Queens! 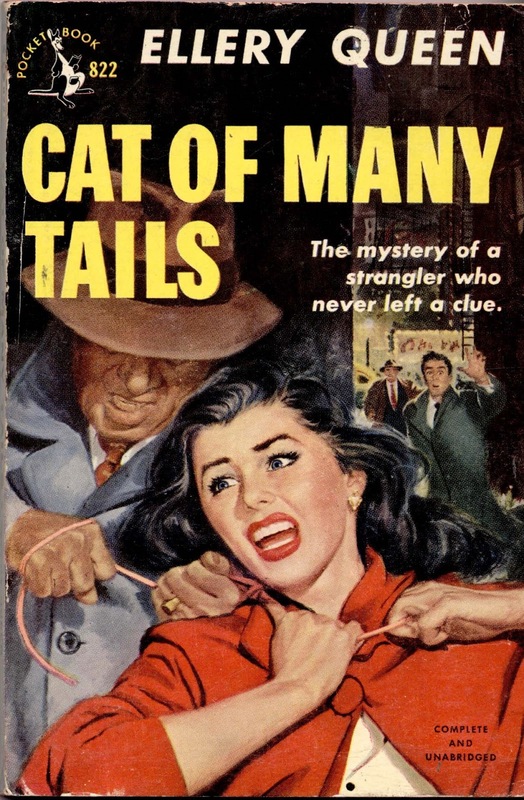 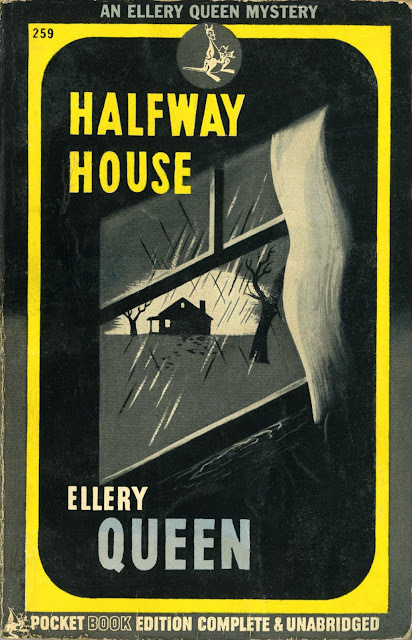 Much of my time lately has been devoted to working on a crime-fiction encyclopedia project, writing about the two Brooklyn-born cousins--Manfred B. Lee and Frederic Dannay--who penned dozens of 20th-century American mystery novels under their joint pseudonym, Ellery Queen. 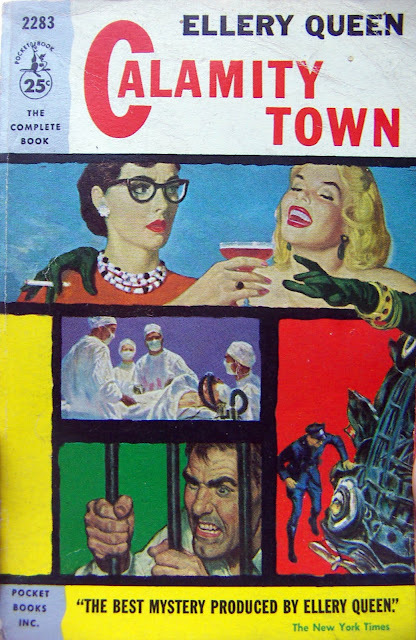 So it seems appropriate that my latest gallery of covers should concentrate on their published efforts. 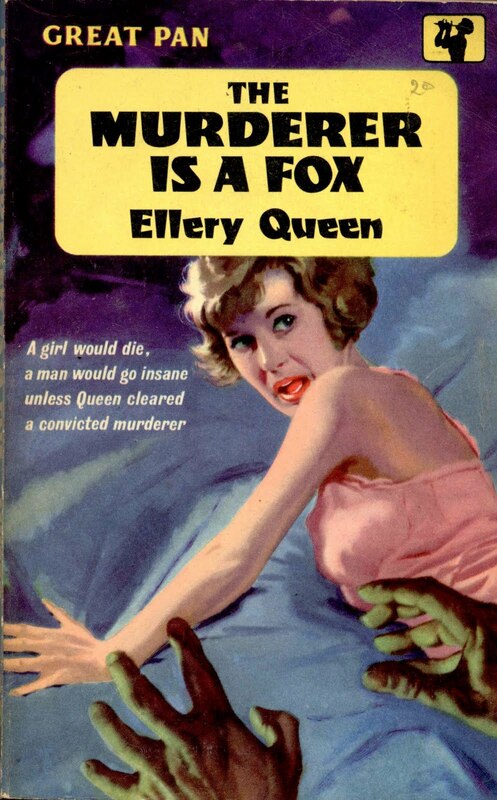 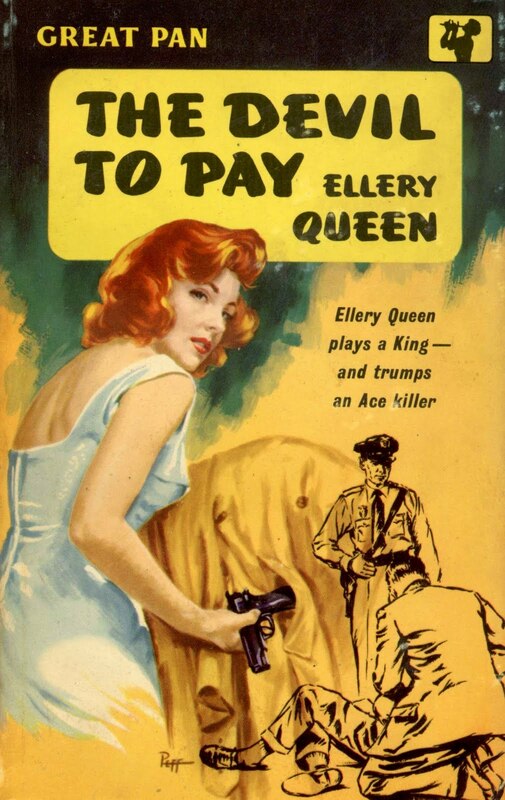 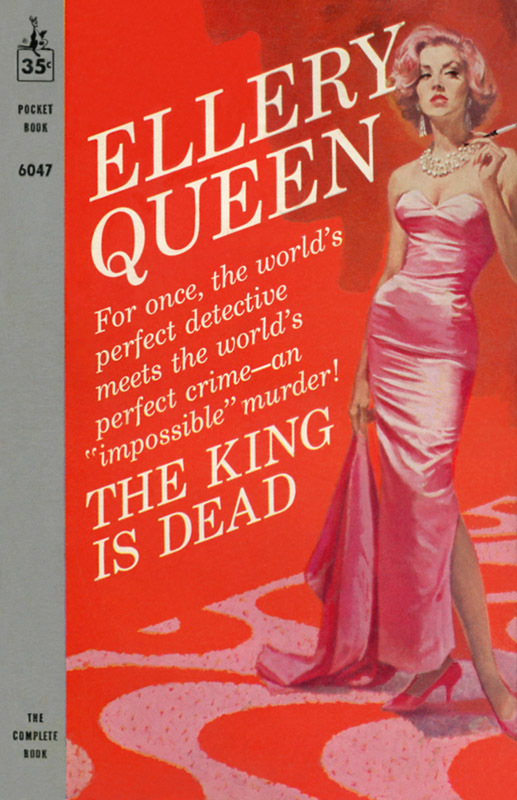 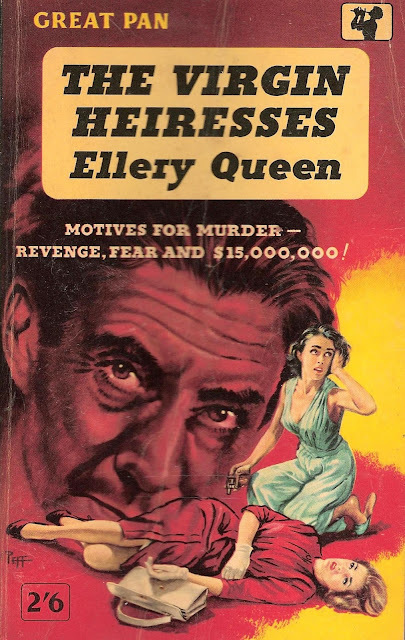 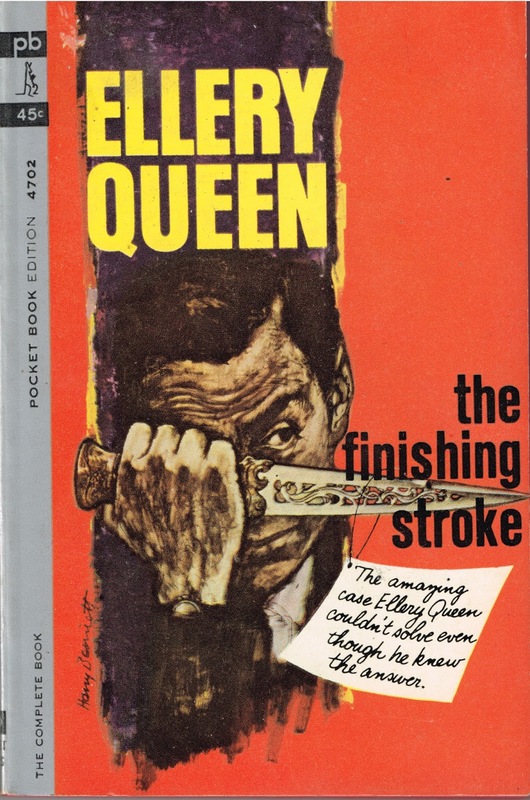 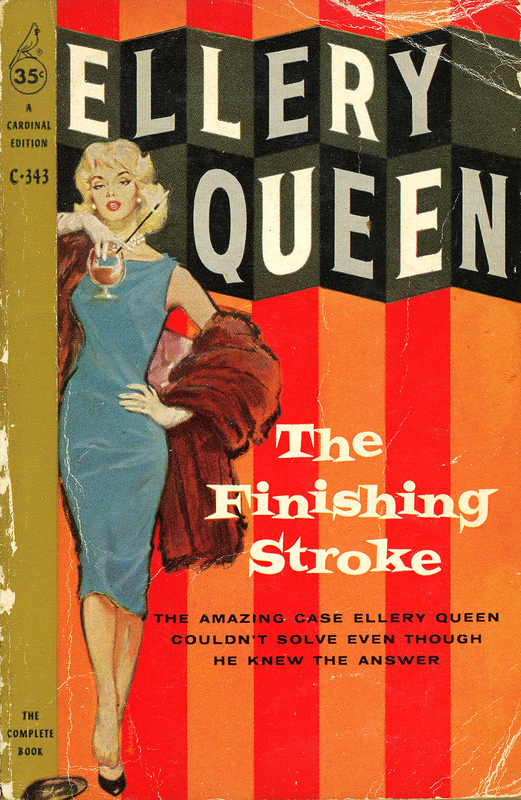 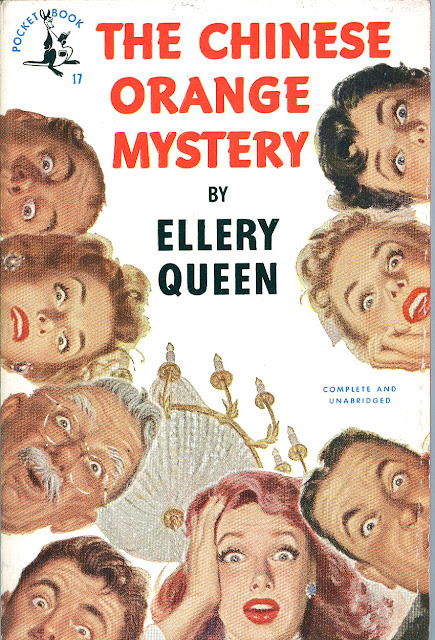 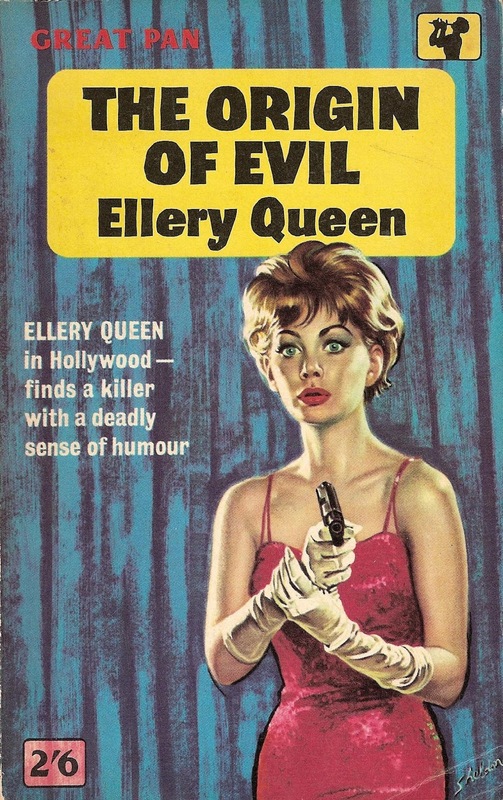 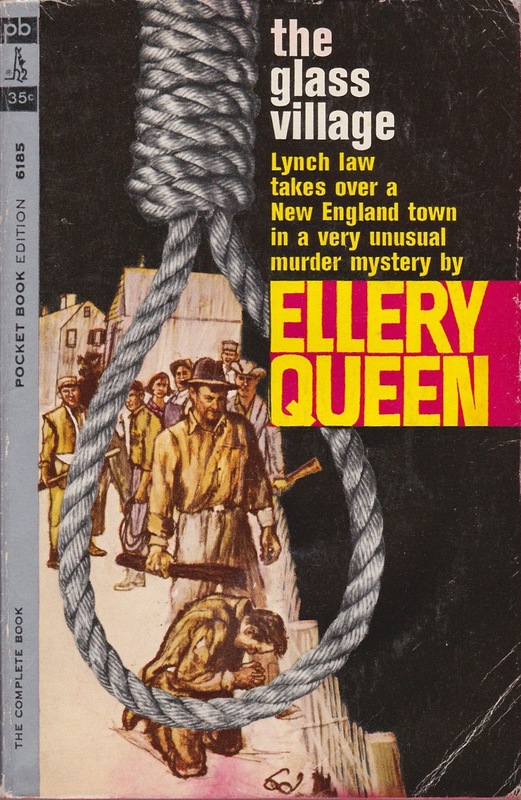 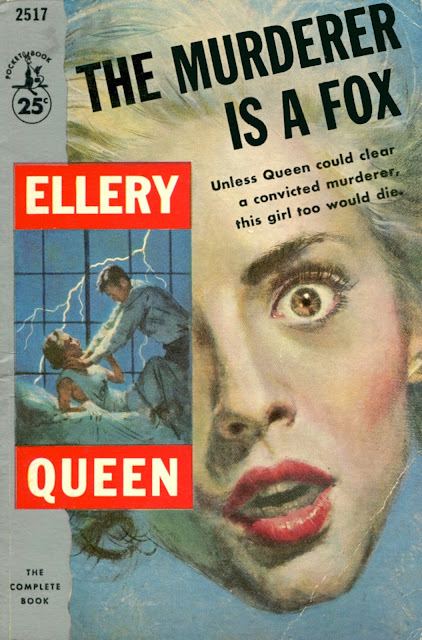 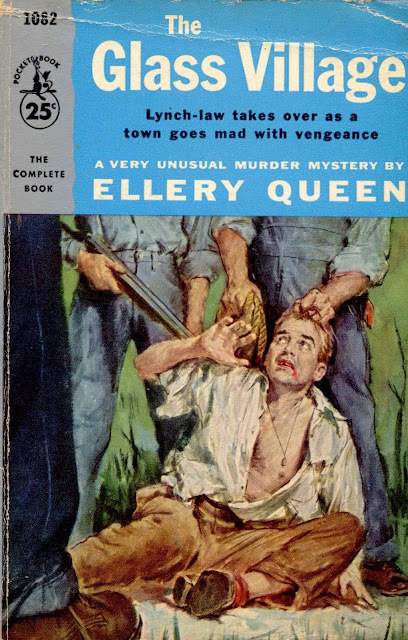 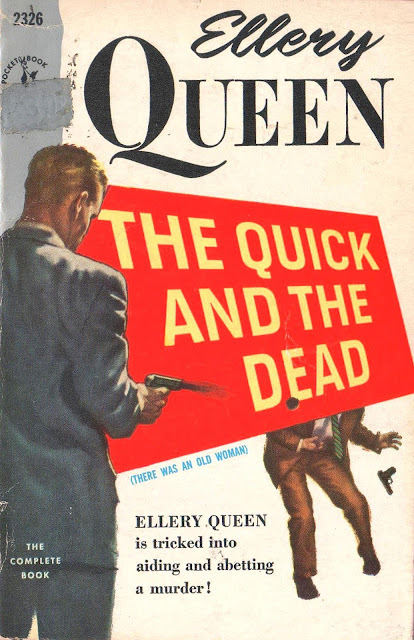 Ellery Queen was once a famous name in crime-writing circles. 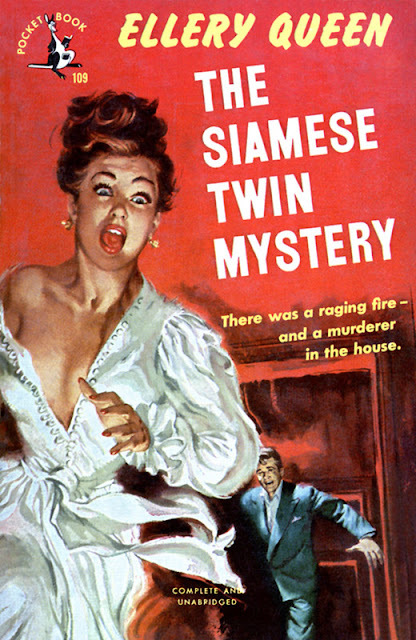 Hundreds of editions of the cousins’ books (some of them carrying alternative titles) have been produced since the first novel carrying that byline, The Roman Hat Mystery, appeared in 1929. To catalogue every one of those book fronts would be a monumental, if not impossible task. 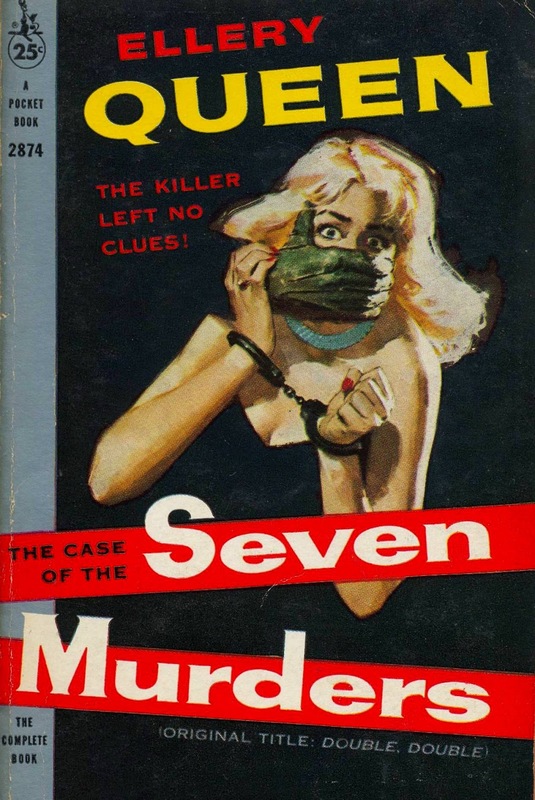 Instead, I’d just like to share some of my favorites, with artwork provided by such masters as Arthur Sussman, Harry Bennett, Frank McCarthy, and Sam Peffer. 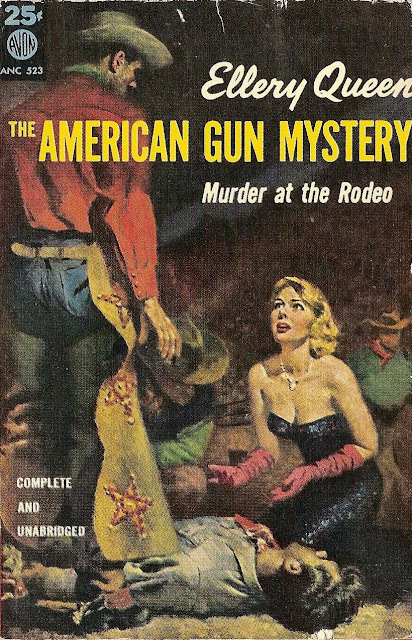 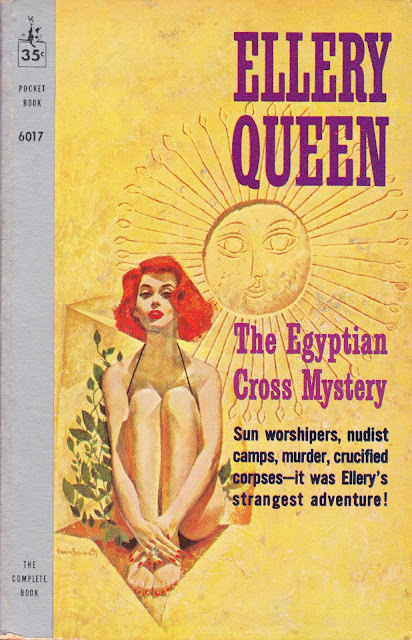 Also James Meese, who supplied the mysterious and seductive illustration that decorated Cardinal Books’ 1960 paperback edition of The Greek Coffin Mystery (1932), shown at the top of this post. Finally, here’s Dell Books’ 1946 “mapback” edition of The American Gun Mystery (1933), with front illustration by Gerald Gregg and a rear-cover map of the crime scene by Ruth Belew. 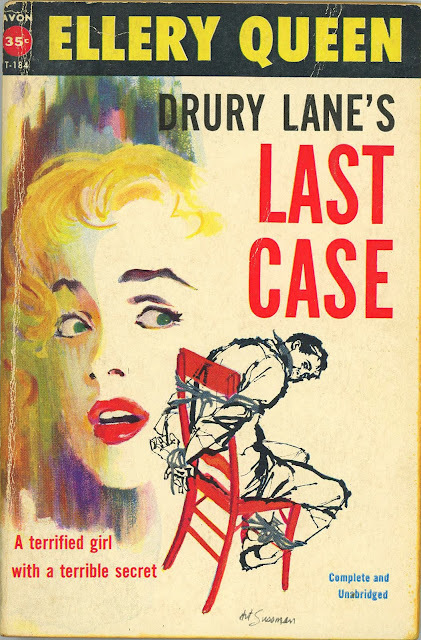 by J. Kingston Pierce (Kirkus Reviews). I love EQ books as they can be solved - most of the time! 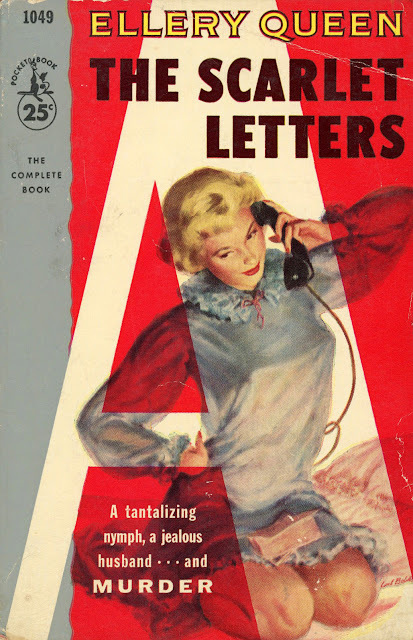 Much easier than Old Agatha! Dude, you just sent me to Amazon to hunt down a used copy of the American Gun Mystery. 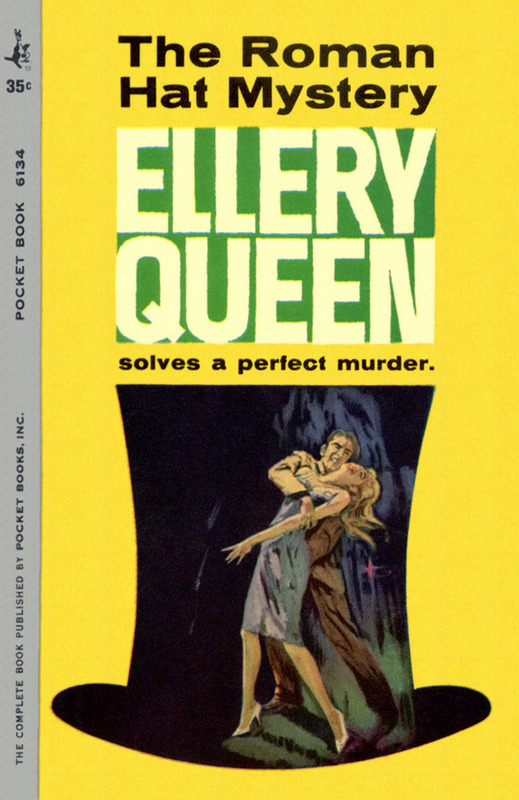 I love EQ, but I have never read that one. I learned something (or maybe I relearned something I'd forgotten): Manfred B. Lee and Frederic Dannay were cousins! 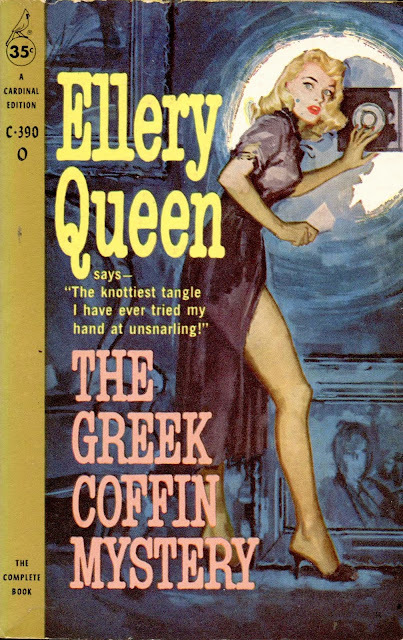 I just read The Greek Coffin Mystery last week (same cover as the one shown). 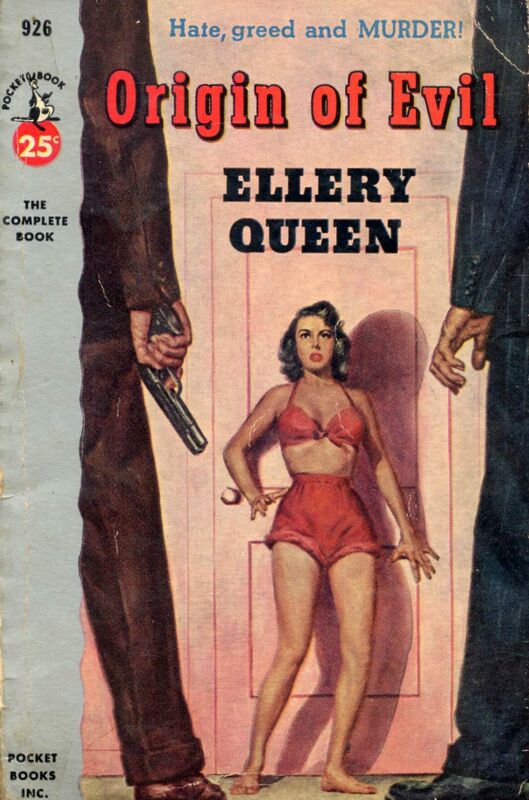 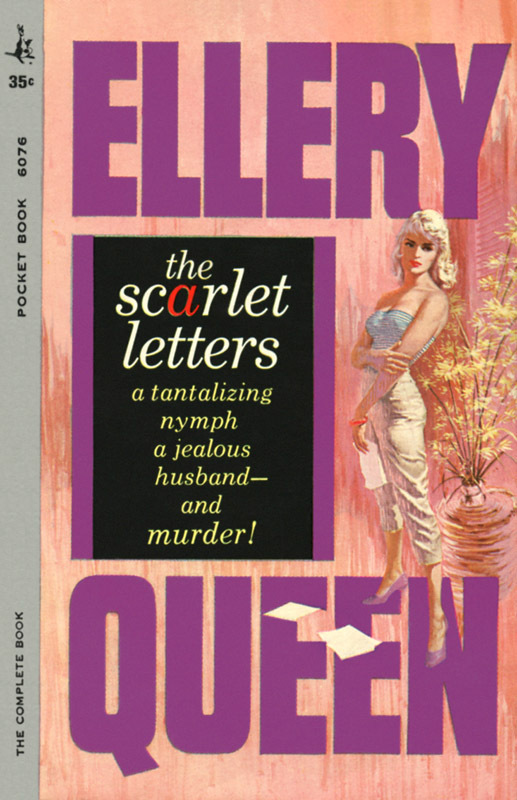 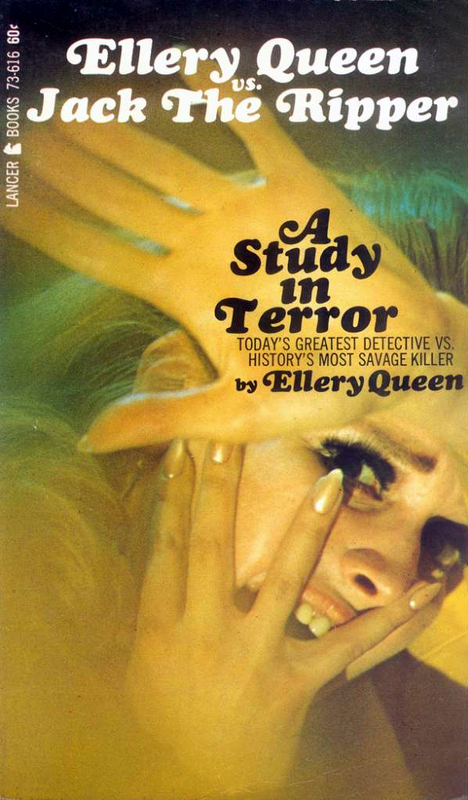 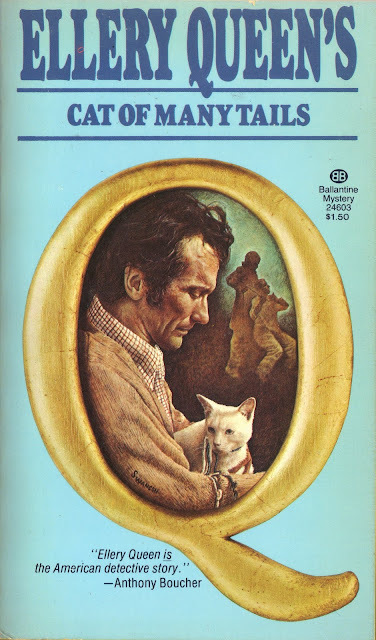 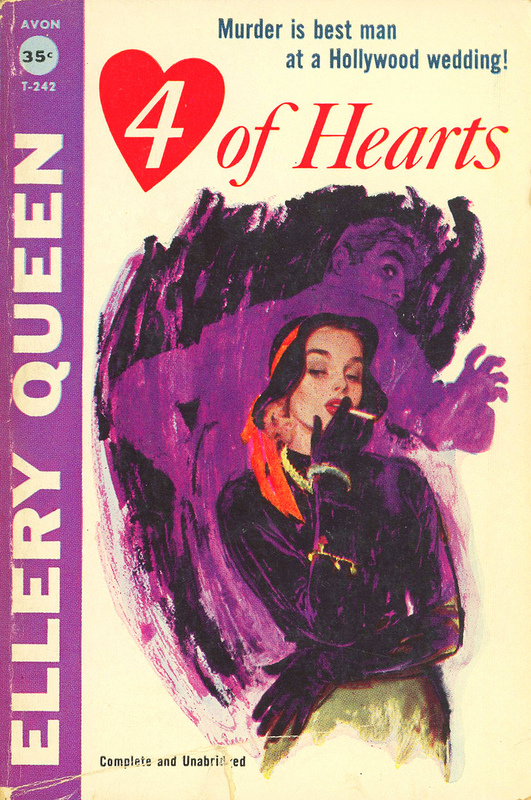 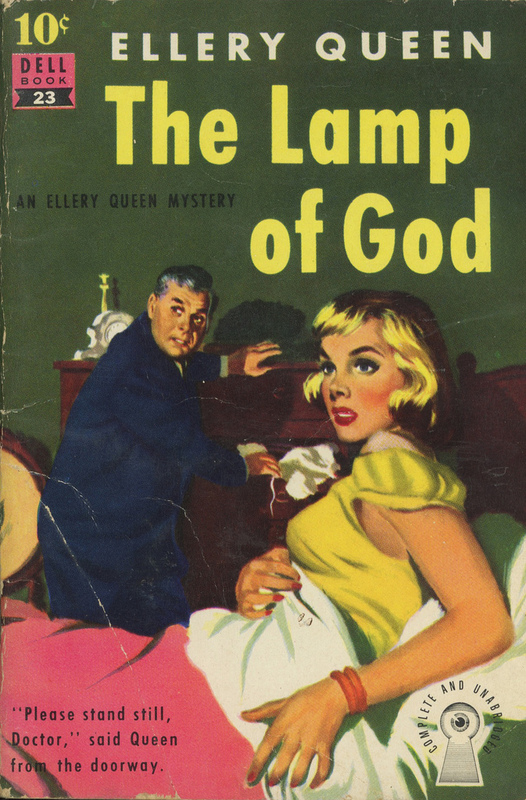 I love Ellery Queen books with the older covers. 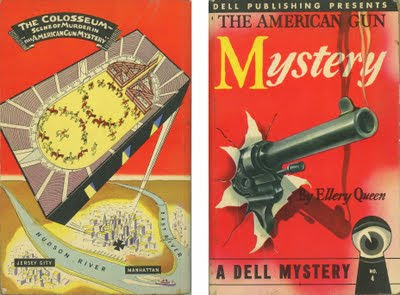 I've found a bunch at flea markets, some of which are in great condition. 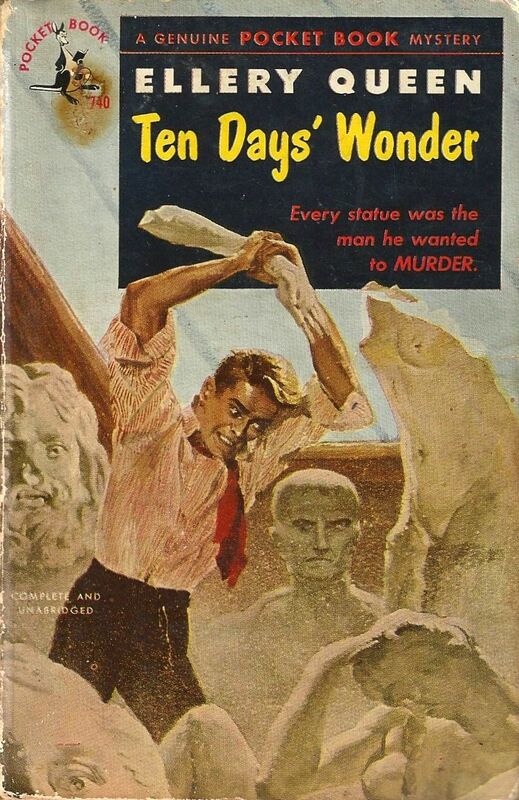 Why can't I remember all those blondes? I must be ageing faster than I thought..